ALFA is proud to announce winning the biggest tender in the sector for compression testers. 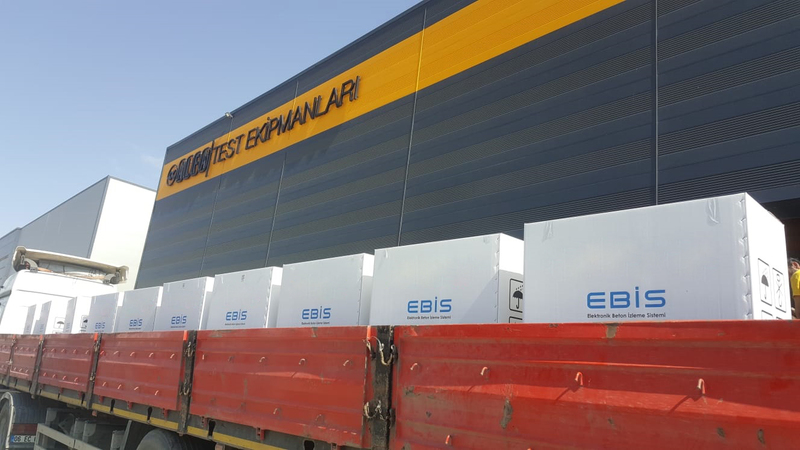 The tender is to manufacture and deliver 650 compression testers in a period of 4 months (6 compression testers per day). Those compression testers are not regular machines, they work with RFID technology that identifies the specimen inside the machine by reading a chip placed in the specimen while preparing it at site. Only specimens with chip can be tested with the machine and the test results are sent directly to the related department in the ministry. By that, all tests will be monitored by the ministry and there will be no place for manipulation or changing the test results. The test reports are obtained from the ministry directly. The machine is equipped with dual camera to record the test and take photos of the tested specimen to be included in the printed report. 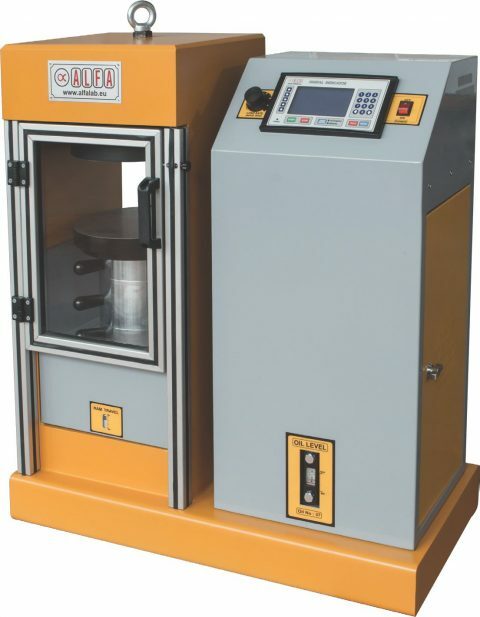 Any calibration, maintenance or modification are done directly by the ministry or with their direct supervision, making this state-of-the-art machine manipulation-proof tester, allowing the construction industry to take the quality to a new level and thus forcing the contacting companies to follow the technical specifications of the buildings to the letter. We are developing ourselves to give you the best service for sales and after sales, as Alfa family that provides our customers with necessary information and support in sales stage and after sales. The Alpha Test Equipment family adds value to our products with a transparent and high quality production, responsible sales to meet customer expectations and an honest view. 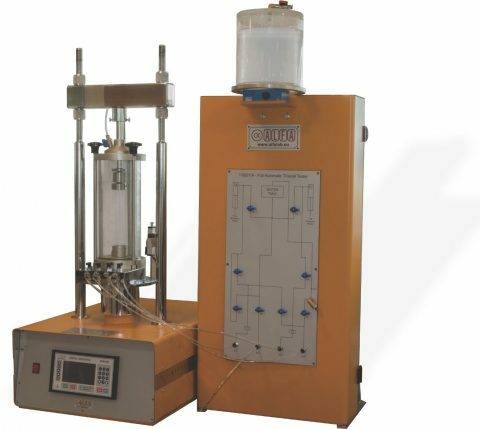 With enough knowledge and experience, using technological equipments, making quality and time production that our customers want, increasing the quality by providing continuous development in all processes. 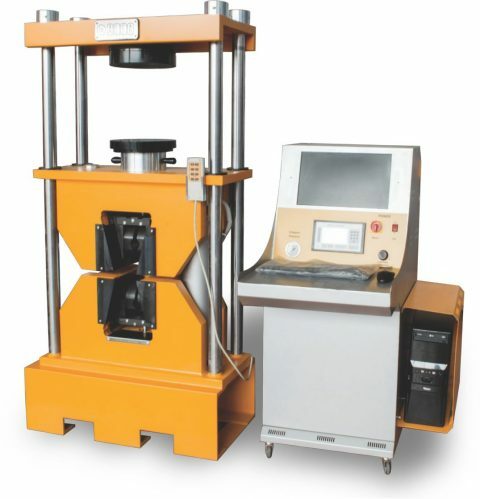 Established in 1972, ALFA is a material testing equipment manufacturer. Specialized in Concrete, Soil and Asphalt. ALFA has the latest technology equipment in its 12000 m² facility. Prioritazing customer satisfaction, ALFA today exports to more than 100 countries all over the world. ALFA has a fundamental commitment to ensuring that all customers receive the highest quality products and services. 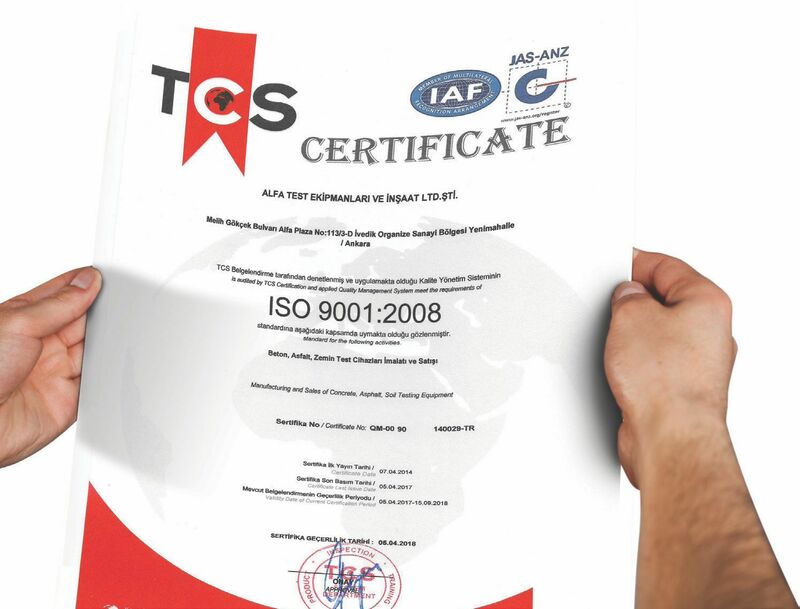 Our company holds a rigorous quality management system of EN ISO 9001:2008 certificate to ensure that the customer’s requirements are always met. 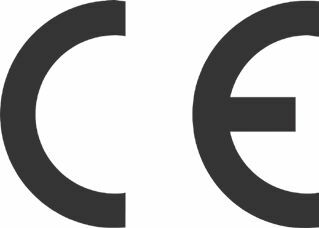 The certificate confirms that each single step of the manufacturing process, from purchasing to the final process of assembling, testing and packing is elaborately and rigorously controlled to meet the international standards. The ISO 9001 Quality Management System standard requires identifying and describing the processes using business metrics, the purpose of which is to better manage and control the business processes. Quality objectives form the center of system. Metrics are used to understand and communicate system’s performance relative to the quality objectives. ISO 9001 certification requires that ALFA periodically audit its quality processes. Regular process audits and as-needed audits, when done correctly, provide the objective feedback needed to correct any deviations from the quality path and keep ALFA focused on its goals. We have around 60 employees at our state-of-the-art facility and our experienced staff uses only the highest quality parts when they manufacture any of our high quality products. Unlike other companies, ALFA manufactures the majority of its products’ lines, in this catalogue. ALFA uses the best parts, have experienced workers, engineers top on their class, and excellent quality control management. For more than 45 years, ALFA’s range of products and services has been broad and sophisticated. 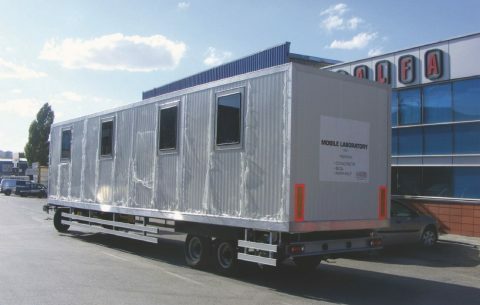 Its design and technology is orientated around practical deployment scenarios throughout the world. Continually growing innovative strength and an uncompromising commitment to quality safeguard the highest level of benefit to the customer in all product areas. Everyone put the highest effort to manufacture, deliver and support the customers for our quality assurance, at their part. 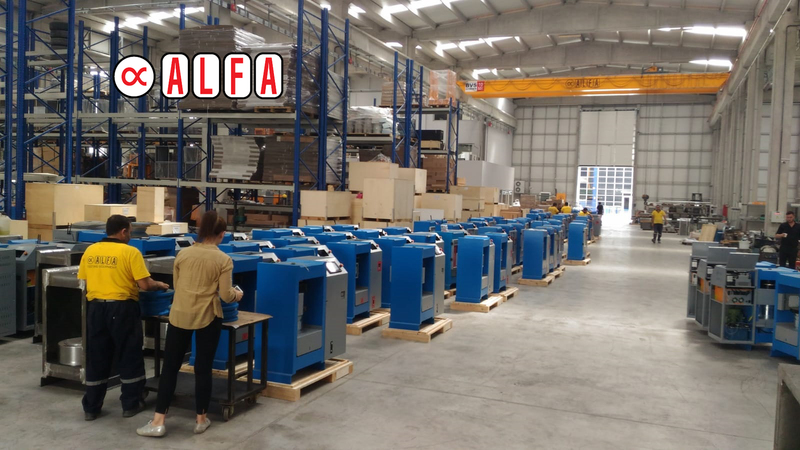 At ALFA, we take 100% responsibility of each and every step that taken to deliver the best and high quality products to our customers all around the World. One of our primary goals is to ensure and deliver the highest quality products with lowest possible cost to our customers. With constantly monitoring the market and technology, ALFA expended the production line to more than 600 products. A very important benefit doing business with ALFA is the fact that we keep stock to dispatch, making sure to assure the shortest delivery time. our experienced technicians are available for help and travel. Exhibitions provide excellent venues for initiating contacts with new customers and developing new trade leads. Equally important they enable us to maintain and renew contacts with our existing valued customers. Live presentations and demonstrations of our products and services speak for themselves, accelerating the selling process and generating new leads. Exhibitions focus media attention to our company and to our products. Public relations efforts can be focused to raise the profile of our company image and brand name. Your Views and Suggestions are Valuable to Us! For any kind of opinions, suggestions and requests, you can call us 24 hours a day, or you can email us.